Remember ‘the 12 principles of green engineering’ that we covered? The same researcher was involved in putting these different sets of principles together. 1 Prevention: It is better to prevent waste than to treat or clean up waste after it has been created. 2 Atom Economy: Synthetic methods should be designed to maximize the incorporation of all materials used in the process into the final product. 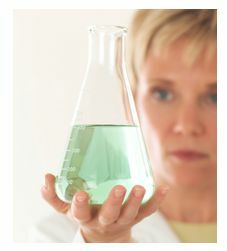 3 Less Hazardous Chemical Syntheses: Wherever practicable, synthetic methods should be designed to use and generate substances that possess little or no toxicity to human health and the environment. 4 Designing Safer Chemicals: Chemical products should be designed to effect their desired function while minimizing their toxicity. 5 Safer Solvents and Auxiliaries: The use of auxiliary substances (e.g., solvents, separation agents, etc.) should be made unnecessary wherever possible and innocuous when used. 6 Design for Energy Efficiency: Energy requirements of chemical processes should be recognized for their environmental and economic impacts and should be minimized. If possible, synthetic methods should be conducted at ambient temperature and pressure. 7 Use of Renewable Feedstocks: A raw material or feedstock should be renewable rather than depleting whenever technically and economically practicable. 8 Reduce Derivatives: Unnecessary derivatization (use of blocking groups, protection/ deprotection, temporary modification of physical/chemical processes) should be minimized or avoided if possible, because such steps require additional reagents and can generate waste. 9 Catalysis: Catalytic reagents (as selective as possible) are superior to stoichiometric reagents. 10 Design for Degradation: Chemical products should be designed so that at the end of their function they break down into innocuous degradation products and do not persist in the environment. 11 Real-time analysis for Pollution Prevention: Analytical methodologies need to be further developed to allow for real-time, in-process monitoring and control prior to the formation of hazardous substances. 12 Inherently Safer Chemistry for Accident Prevention: Substances and the form of a substance used in a chemical process should be chosen to minimize the potential for chemical accidents, including releases, explosions, and fires.